Acadia finish on select hardwoods and veneers is heavily distressed by scribes, and worm holes for a natural, rustic appearance — inspired by the natural yet rustic nature of reclaimed woods in beautiful patinas and burnished details. Features a multi-tiered flat top, distinctive columns with corbels frame the door, and carved Acanthus moldings that accentuate the pediment. 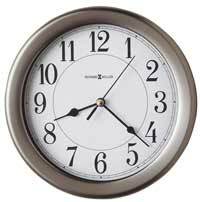 Circular spun antique nickel-finished dial with black Roman numerals, hour markers, and hands. 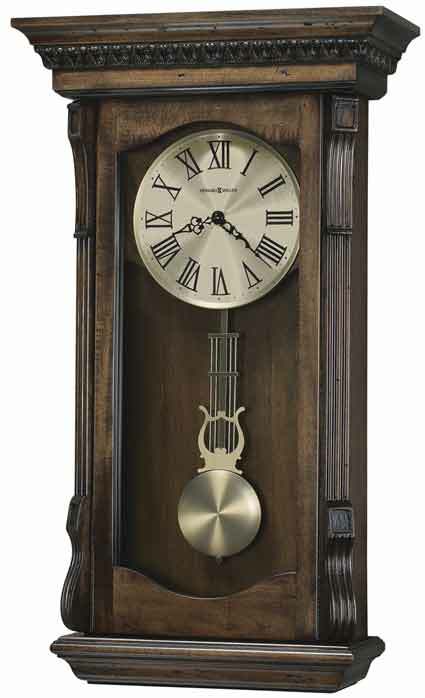 An antique nickel-finished lyre pendulum with grid swings behind the door window which is hinged and opens from the left. 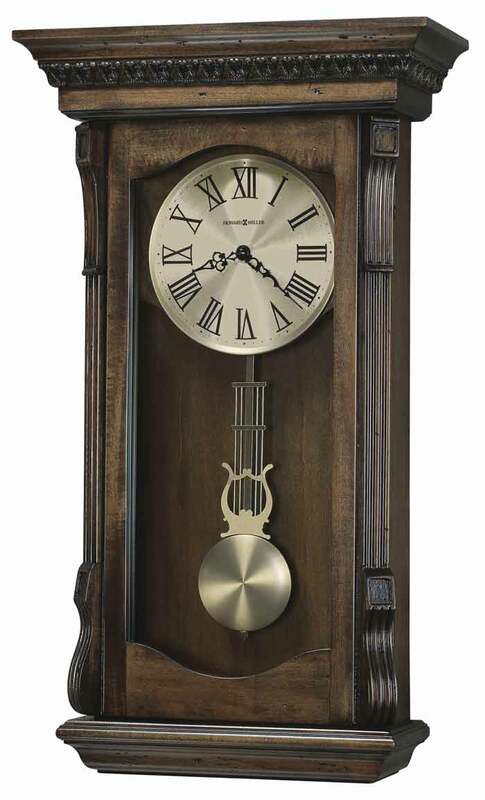 Quartz, battery-operated, triple-chime Harmonic movement plays choice of full Quarter hour Westminster Chimes with hour count or Westminster chime, Ave Maria and Bim Bam chime on the hour only also with an hour count. Volume control and an automatic nighttime chime shut-off option will silence the chime automatically at night. Powered by two C sized batteries. 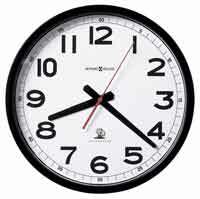 Size: Height 26" Width 15" Depth 6"
Clocks for sale at The Clock Depot including the 625-578 at discount prices.